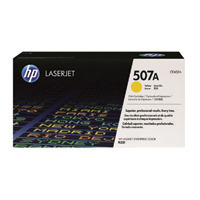 HP 507A Toner Cart Yellow CE402A Pack of 1 HP 507A Laserjet Yellow Laserjet Cartridge. 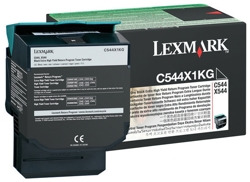 For use in Color Laserjet 500/M551 series. Page Yield - up to 6000 pages. OEM Ref - CE402A. OEM: CE402A. 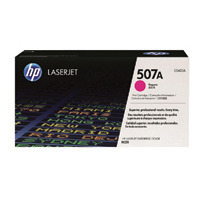 HP 507A Toner Cart Magenta CE403A Pack of 1 HP 507A Laserjet Yellow Laserjet Cartridge. For use in Color Laserjet 500/M551 series. Page Yield - up to 6000 pages. OEM Ref - CE403A. OEM: CE403A. 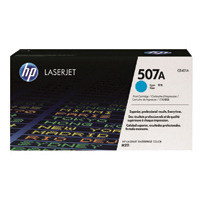 HP 507A Toner Cart Cyan CE401A Pack of 1 HP 507A Laserjet Cyan Laserjet Cartridge. 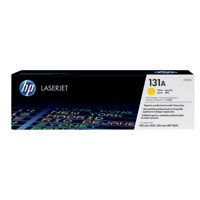 For use in Color Laserjet 500/M551 series. Page Yield - up to 6000 pages. OEM Ref - CE401A. OEM: CE401A. 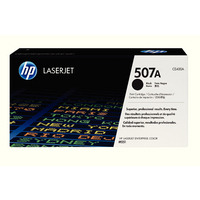 HP 507A Toner Cart Black CE400A Pack of 1 HP 507A Black Laserjet Cartridge. For use in Color Laserjet 500/M551 series. Page Yield - up to 5500 pages. OEM Ref - CE400A. OEM: CE400A.